I thought it might be of interest for medievalists unfamiliar with the classic, but largely forgotten, epic poems Orlando inmmaorato and Orlando furioso for me to create a few posts describing the genre and include a few character sketches. These posts might also be of interest for those studying Italian Renaissance literature or fans of opera. Arthurian legends are more famous than Carolingian legends, but I feel they are both luxurious in their dramatic potential. The one entry in legends of Charlemagne that most people will have at least heard of is the Song of Roland or Chanson de Roland. It is an epic poem which has immortalized the real life defeat of Charlemagne's forces in the Roncesvalles (Roncevaux) pass in the Pyrenees Mountains when his rear guard was ambushed by Basque forces in 778. The circumstances of this historical event were then embellished and exaggerated by the poem and centers the tragedy on the betrayal and heroic death of paladin Roland by his stepfather the treacherous Ganelon of the house of Maganza. The cycle of Carolingian legends proliferated in France as well as northern Italy with many different heroes and stories being added. Roland became Orlando as several of the legends had him being a son of Charlemagne's sister who eloped and fled to Italy. 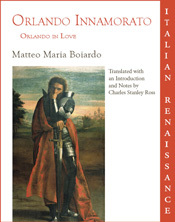 Matteo Maria Boiardo began writing Orlando innamorato and incorporated many of these characters in what became a sprawling epic with multiple and interweaving plot lines with a cast of thousands. Boiardo stopped writing his masterpiece when France invaded Italy, and lionizing Frankish warriors as heroes became untenable for him. After Boiardo's death, the unfinished poem was continued by Ludovico Ariosto's Orlando furioso. Think of these two poems as being a grand Medieval soap opera. Both poets used a convention of a narrator inserting himself into the narrative and guiding their audience from one storyline to another. "We will leave Orlando dueling with Agricane for now and turn our attention back to Ranaldo..."
It is far more complex than the simple Chanson de Roland which only dealt with one storyline. The titles of both epic poems reflects on Charlemagne's chief paladin, Orlando, and the unrequited love he had for the beautiful Angelica. Orlando abandons his station and his duty as he departs on a desperate, obsessive quest to make Angelica his lady. There are periods of time when Orlando is by her side defending her honor and castle, and other extended periods of time when he searches in vain for her. At no time does she return his affections, nor does she want a romantic relationship with him. Angelica manipulates Orlando to serve her needs, and deceives him into believing she has feelings for him in return. It is when Orlando discovers that Angelica has married another that he goes "furioso" and loses his mind. Only by the intervention by another paladin, under extraordinary cosmic circumstances, does Orlando regain his wits. Orlando's infatuation and obsessive desire for a beautiful woman, which lead to his madness is a storyline that did not move me emotionally. As a woman, I could not identify with Orlando's quest as I have never allowed myself to become obsessed with someone's looks to the point where it rules my every thought and action. I also saw Angelica as being unworthy of such adulation. Yes, she was outwardly beautiful, but none of the men who were fighting over her had ever spent much time in her presence, so they did not know what she was like as a person. They simply wanted to make her their conquest and be able to claim that they had taken her virginity. Orlando innamorato and Orlando furioso had many other plot lines of varying importance, but the one that drew my attention was the love story of Bradamante and Ruggiero. Bradamante was a warrior maid and niece of Charlemagne. This powerful woman was respected for her strategic mind and prowess in battle. She was content to dedicate her life to battle and was startled by the intense feelings of attraction after meeting Ruggiero, an enemy soldier who extended to her an uncommon courtesy. The two soldiers fell deeply in love, but were on opposite sides of a holy war and fought to overcome numerous obstacles in order to be together. Next time I will discuss my reaction to the characters Angelica and Bradamante and compare them to the archetypes of Aphrodite and Athena. 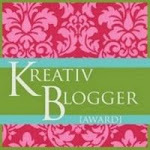 Medievalist sites to see in Milan or Rome?